The kitchen functions at its best when it’s set up in zones. There are five main zones: cooking, preparation, cleaning, storage, and food. Everything in your kitchen should fit into one of these five categories. If you have an item that doesn’t fit, it may not belong in the kitchen. A. COOKING Your cooking space should include spices, oils and vinegars, cooking utensils, pots and pans, pot holders, trivets, and other tools. B. CLEANING All things related to cleaning your kitchen should be in this zone, which is typically centered around the dishwasher and kitchen sink. Categories include kitchen cleaners, under the sink items (sponges, paper towels, microfiber cloths, trash bags, dishwasher detergent), recycling bins, and trash cans. D. STORAGE Items in the storage zone include food containers, silverware, dishes, glasses, and small appliances. E. FOOD The pantry is considered the food zone. If you don’t have a pantry, designate a few cupboards or a standing cabinet in which to store food items. "Not only is it beautifully photographed, but it is also super useful. It is organized into three parts: Kitchen and Dining, Living and Storage, and Working and Outdoor. The author realizes that we all want to have an organized home, but that life sometimes gets in the way so she shares quick tips, big plans for when you have more time, and lists to get everything done, which we love." 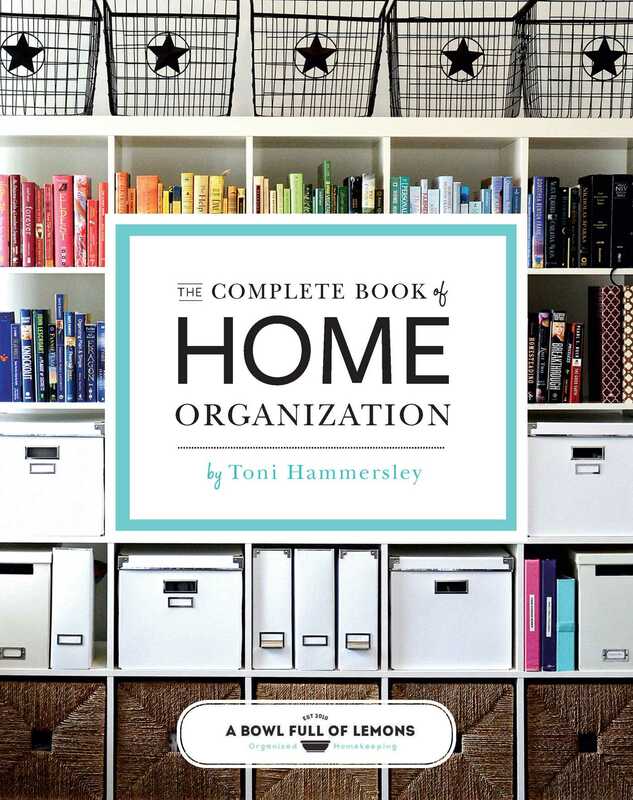 "If you haven’t already, you need to add The Complete Book of Home Organization to your must-read list...In all honesty, I love this book. The projects in it are very inspiring and I’ve come up with a lot of ideas for my home based off pages of this book."